Wasted energy, wear and tear on major appliances and potential fire hazards, all of these can happen if you have a problem with the voltage at an outlet in your home. An electric wall outlet problem can be fixed a few ways. However, before you get down to the business of fixing the issue, you first have to diagnose the problem and find where the origin of low voltage lies. What Is a Voltage Drop? Major factors that go into voltage drop include the current draw of the appliance, length and gauge. Traditionally, voltage drop means an expected or normal dip in an electrical circuit in a home. The natural impedance of the conductor causes this to occur. However, the voltage drop should not be severe. A 3.5 or fewer volts of drop at the point of use for a 120-volt distribution panel is about as high as you would want to go. 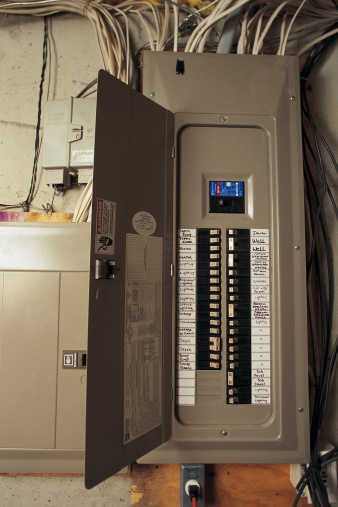 Branch wiring, a switch malfunction or a high resistance in the house's electrical circuit are one of a few issues that affect wall outlet voltage. Poor insulation paired with high amperage and resistance can be a source of fire in the future if the issue of low voltage at an outlet isn't confronted and controlled. If you have a high-draw appliance, it can cause a voltage drop. Don't be alarmed: Highly inductive loads can also cause a minor voltage draw. First, check the fuse panel to ensure that none of the circuit breakers have flipped to the "off" position. If there are any slightly melted or otherwise warped pieces, this could be where you have a problem. Feel the box for excessive heat and sniff the air for the smell of burnt wiring or plastic. 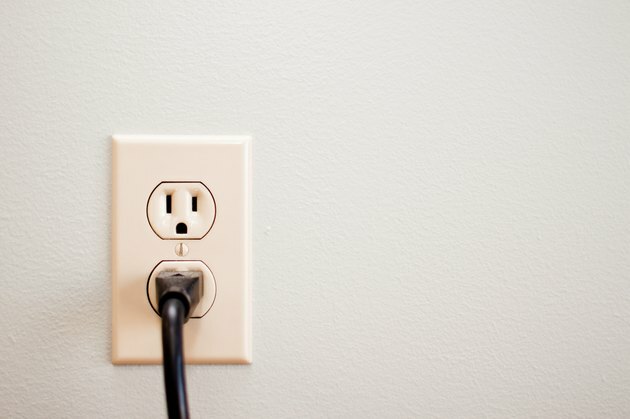 If you know which outlet is causing the problem, unplug all cords and appliances from that outlet. If you aren't sure, check the appliance cord end of all that are plugged in to see if they are melted or otherwise discolored. A multimeter can let you know if the range is less than 120, which is the expected voltage in a home's electric wall outlet. Once you discover a low voltage electrical outlet, unscrew the plate and locate the ground, neutral and hot voltage wires. Tighten the screws that hold these wires in place. This might fix your issue. If any of the wires look corroded, strip them until you see shiny copper and clean the connections. If you continue to have issues, check the gauge of the wire to ensure it is the correct size for the voltage. This can happen with older homes that have received electrical upgrades over the years and may not have retrofitted every outlet.